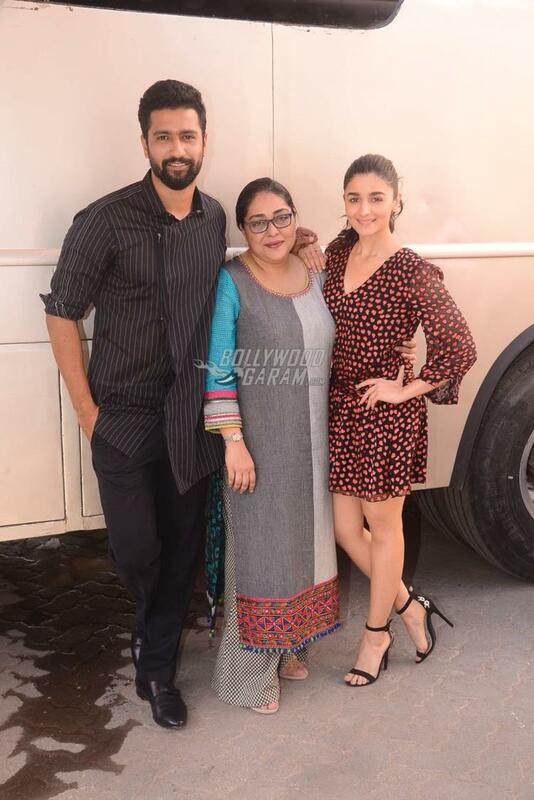 Alia Bhatt, Vicky Kaushal and Meghna Gulzar came together to promote their upcoming film Raazi in Mumbai on May 2, 2018. 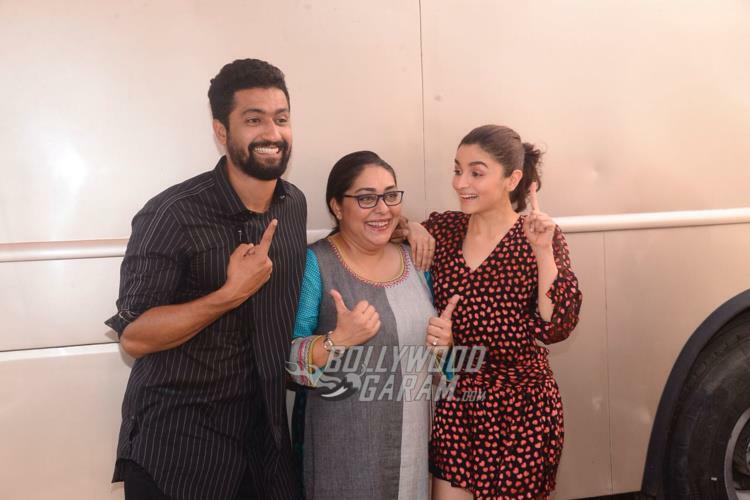 As the film is ready to be released in the upcoming week, the actors and director Meghna have geared up for the promotions of the film despite the scorching heat. Alia looked pretty in a black outside with golden hearts while Vicky looked dapper in a black striped shirt and black pants. 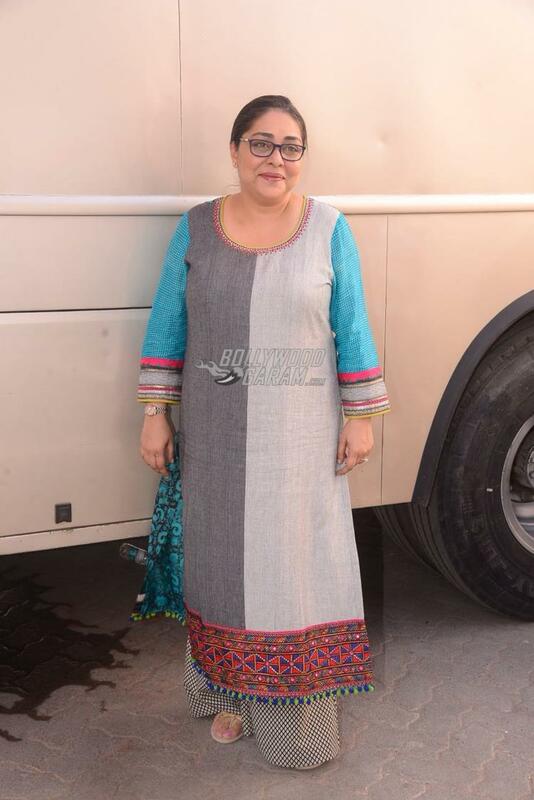 Director appeared in a simple kurta and pyjama and joined her actors for the promotions. The film also stars Rajit Kapur and Shishir Sharma and will be released in theatres on May 11, 2018.